Home » Autos » How Much Car Can You Afford? Buying a new car is exciting. But it can also bring a bit of stress, especially if you aren’t sure how much you can afford to spend on a vehicle. Avoid the stress and enjoy the car buying experience by following these tips to determine how much you can afford to spend. Have more fun with your car buying experience by first determining how much you can afford to spend on the vehicle. According to Car Shopping: How to Calculate Affordability, a good starting point in your car shopping journey is determining how much you can realistically receive from your trade-in vehicle, if you’ll be trading one in. Search online for the average trade-in value for your current vehicle. Then, compare the trade-in offers from a few dealers. Keep in mind that, if you own your current vehicle outright, you’ll receive the full offered trade-in value. If you still have a loan on the car, you’ll need to deduct the remaining loan amount from the trade-in value. By properly calculating your current vehicle’s trade-in value, you’ll then know how much it will deduct from the purchase price of the vehicle you buy. Will you be taking out a loan to purchase a vehicle? If so, will you be submitting a down payment on the loan? A down payment is the amount of cash you’ll pay upfront to reduce the total loan amount. Some loans require a down payment so you should verify whether or not one is required on the loan you’re considering. By paying a larger down payment upfront, you can lower your loan amount and save more money over the long term. Always compare interest rates on auto loans before signing on the dotted line. The interest rate of your auto loan will determine how much you’ll pay in interest each month, will influence your monthly loan payment and, ultimately, will determine how much you can afford to spend on a vehicle. If you have a great credit score, don’t settle for anything less than a premium interest rate. If your credit score is lower than you’d like, you may need to pay a higher interest rate to secure a vehicle loan. 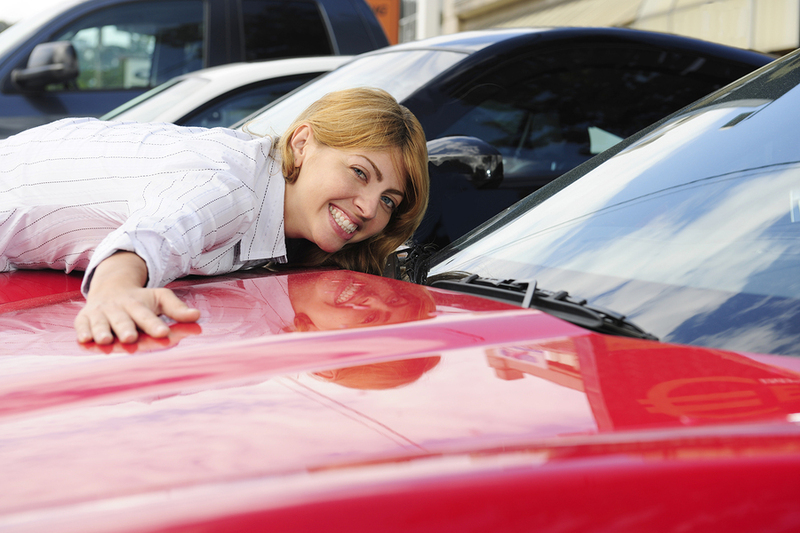 When taking out a car loan, you’re typically asked to choose between a few loan lengths. How long you will be repaying the loan will influence how much you’ll end up paying in interest. Shorter loans are always preferable, but the monthly payments are typically higher than loans with longer term lengths. The monthly payments of shorter term car loans are typically higher because you’re paying more toward the loan each month so that you can pay off the loan sooner. What other bills do you currently pay each month? Will that amount remain consistent over the next few years or do you expect your bills to soon increase? Knowing your monthly budget is an important part of deciding how much you can afford to spend on a vehicle. The last thing you want is to take out an auto loan that you’ll no longer be able to afford in a year. If needed, cut a few non-essential expenses out of your budget to make more room for the purchase of a vehicle. Buying a vehicle doesn’t have to be stressful. Have more fun with the experience by deciding how much you can afford to spend on a car, by learning the value of your trade-in vehicle, by considering your loan down payment and more.